Beau Bridges guest-starred as Pete Delaney in Season 1's "Hail Mary." Delaney, a high school football coach, doesn't want to have emergency life-saving surgery. 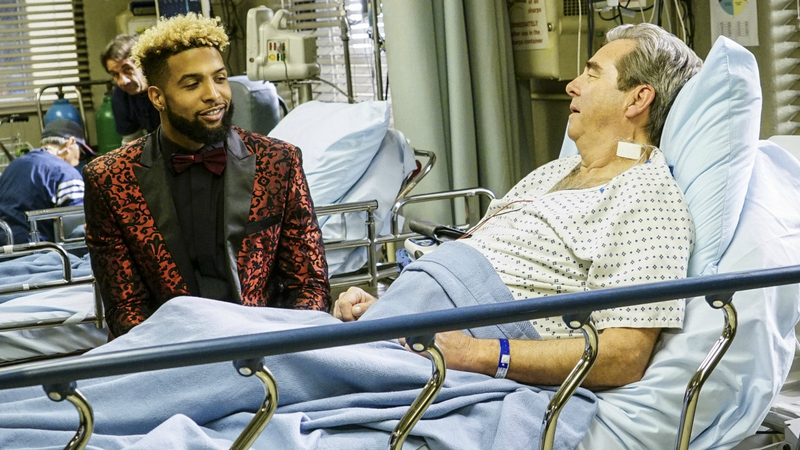 He's visited and convinced to go under the knife—with a little inspiration from famous footballer Odell Beckham Jr.
Bridges was joined in the episode by two of his children, Emily and Ezekiel.